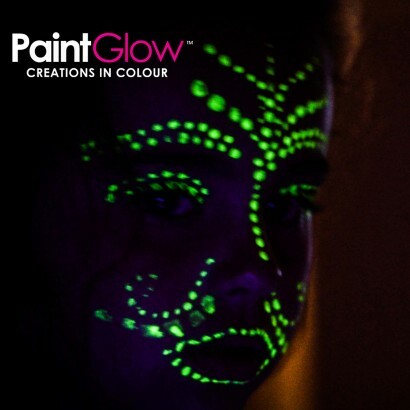 Look the part when you party with hot neon face and body paint that glows in the dark! 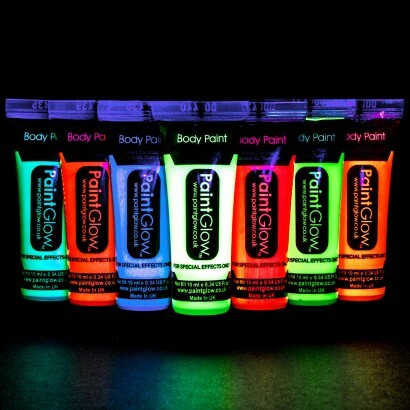 Available in seven neon colours, this glow in the dark body paint glows without blacklight in pitch black conditions! Each 10ml tube contains enough paint to cover two full faces and will go further when painting smaller designs. Apply with fingertips or with a makeup brush for best effects, allow to charge in bright light or super charge in UV light, and your designs will glow brightly in the dark!